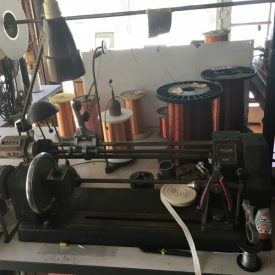 The Kent patent induction coil. 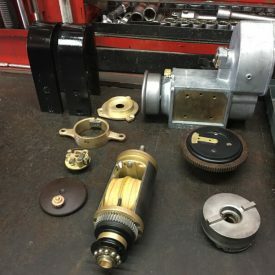 Antique Auto Electrics are experts in historic auto electrics, specifically repairing magnetos and repairing, winding and rewiring coils for antique and vintage autos including a very wide variety of cars and motorbikes. An ignition coil, also called a spark coil, is an induction coil in an automobile’s ignition system which transforms the battery’s 12 volts, or 6 volts in some older vehicles, to the thousands of volts needed to spark the spark plugs. 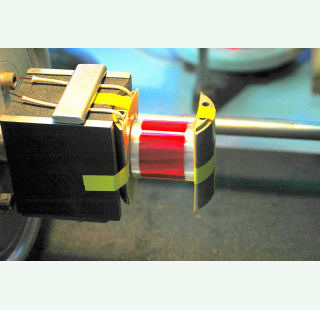 This specific form of the auto-transformer, together with the contact breaker, converts low voltage from a battery into the high voltage required by spark plugs in an internal combustion engine. In older vehicles a single large coil would serve all the spark plugs via the ignition distributor. A notable exception is the Saab 92 that has one ignition coil per cylinder. In modern systems, the distributor is omitted and ignition is instead electronically controlled. Much smaller coils are used, with one coil for each spark plug or one coil serving two spark plugs, for example two coils in a four-cylinder engine. These coils may be remote-mounted or they may be placed on top of the spark plug, known as coil-on-plug or Direct Ignition. Where one coil serves two spark plugs in two cylinders it is through the “wasted spark” system. 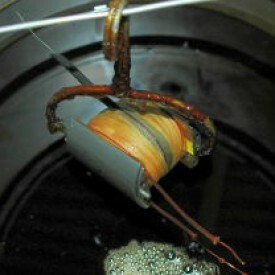 In this arrangement the coil generates two sparks per cycle to both the cylinders. The fuel in the cylinder that is nearing the end of its compression stroke is ignited, whereas the spark in its companion that is nearing the end of its exhaust stroke has no effect. 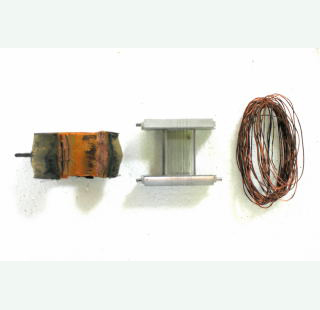 The wasted spark system is more reliable than a single coil system with a distributor and cheaper than coil-on-plug. 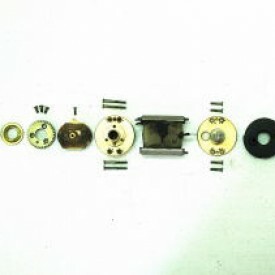 Where the coils are automatically mounted they may all be contained in a single molded block with multiple high-tension terminals. 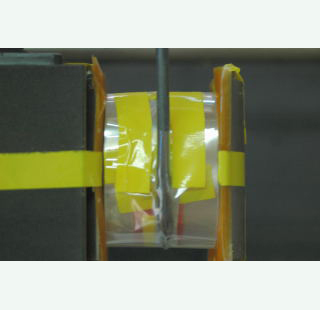 This is commonly called a coil-pack. The disruptive discharge Tesla coil is an early predecessor of the “ignition coil” in the ignition system. 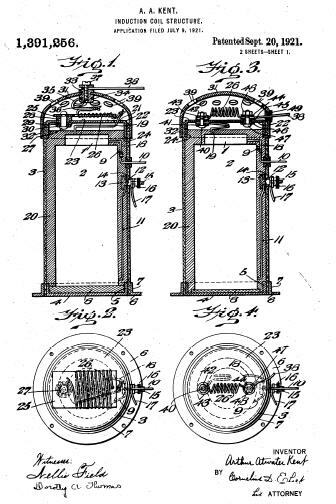 Tesla also gained U.S. Patent 609,250 “Electrical Igniter for Gas Engines”, on 16 August, 1898. It used the principles of the ignition coil used today in automobiles. A. Atwater Kent, in 1921, patented the modern form of the ignition coil. 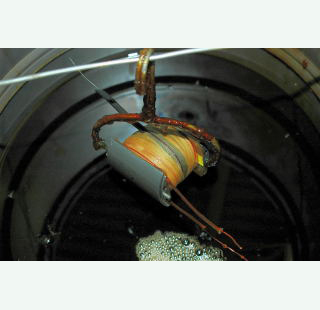 * An Oudin coil is a disruptive discharge coil. 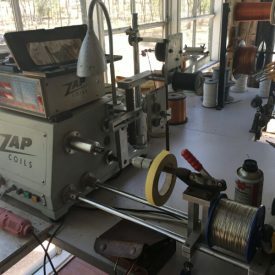 A low-tension coil is an electrical device used to create a spark across the points of an ignitor on early 1900s gasoline engines, generally flywheel engines, hit and miss engines, and other engines of that era. 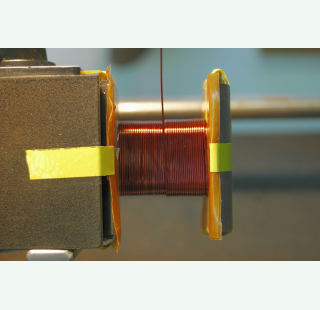 In modern electronic terms, a low-tension coil is simply a large inductor, an electrical device that stores energy for brief periods. 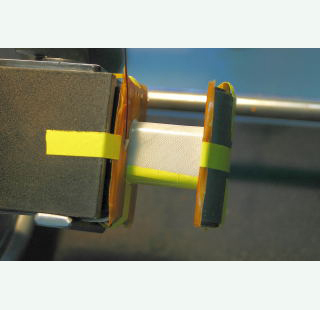 The term “low tension” was the terminology of the day used to differentiate it from the term “high tension”, and generally meant “low voltage”, or tension, as opposed to “high voltage” tension. 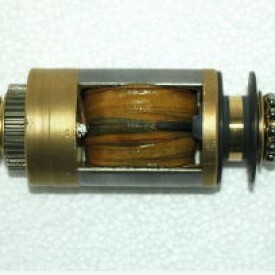 High-tension coils produce high voltages, generally meant to produce a spark across a spark plug. 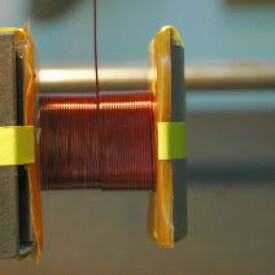 A low-tension coil consists of an iron core that has wire wrapped around it. 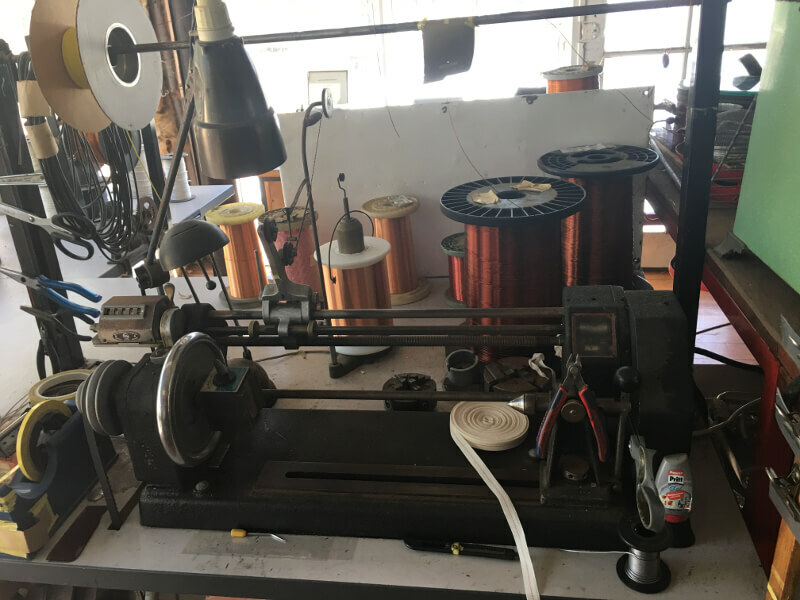 The size of the iron core, the number of turns of wire, and the size of the wire determine the electrical properties of the coil. 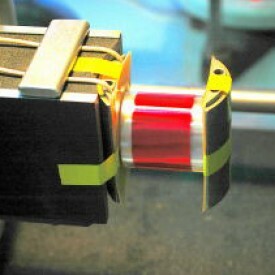 Terminals are provided to connect the coil into the ignition circuit. 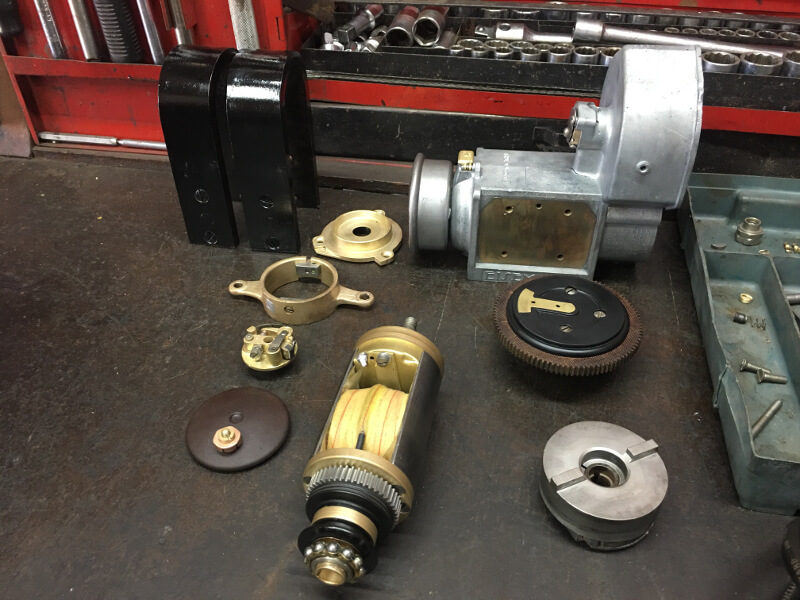 The wood ends are provided for mechanical stability, to provide for the terminal placement and to hold the wire on the coil over time. 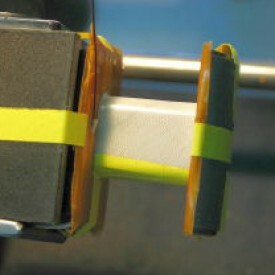 A cloth or tape covering is provided to protect the windings. 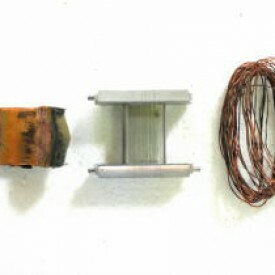 A low-tension coil for engine ignition is used in conjunction with a batter and an ignitor. 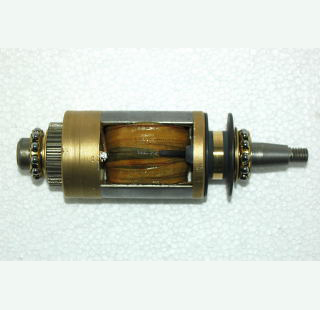 The ignitor is no more than a set of contacts that reside inside the combustion chamber of the engine. A series circuit is made between the three components: battery connects to coil, second terminal on the coil connects to the ignitor, second terminal on the ignitor, usually connected electrically and mechanically to the engine itself, connects to the second terminal of the battery. 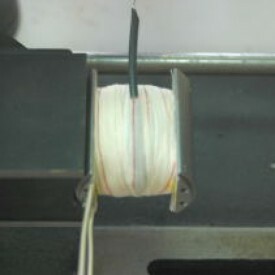 An inductor attempts to maintain a constant current flow through it. If the current in the circuit in which the inductor is connected goes down for some reason, the voltage developed across the inductor will go up in an attempt to try to maintain the constant current. 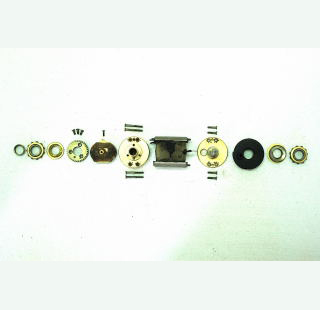 When used with an ignitor ignition system in an engine, there is current flow when the ignitor contacts are closed. 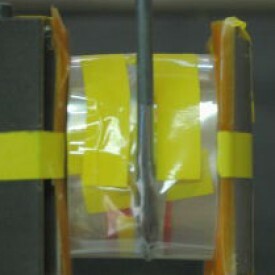 When the ignitor contacts are opened by the mechanical parts of the engine, current flow is interrupted. 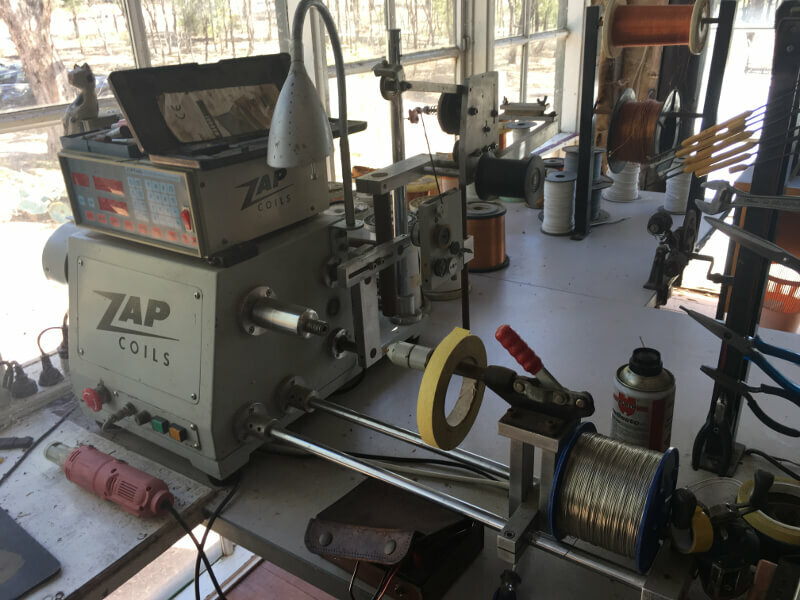 Because the low-tension coil wants to maintain that current flow, the voltage across the coil rapidly goes up, usually to several hundred volts. When the voltage rises high enough, the voltage will jump the small gap of the ignitor contacts and create a spark which ignites the fuel mixture in the engine. Since there is a finite amount of energy stored in the coil, as soon as the spark jumps the gap the voltage across the coil collapses. As soon as the engine rotates and the ignitor contacts again close, current starts to flow through the coil and it again stores energy for the next cycle. Much of the historical information for this page is from Wikipedia.